Looking for a healthy diet? Look no further than the “Incredible, Edible, Egg”. Packed with high-quality protein, two eggs at 140 calories and 14g of protein equal most “nutrition bars” on the market without all the added preservatives and artificial sweeteners. Frankly, egg protein is the standard by which all other protein sources measure themselves. Additionally, if you are simply cutting portion sizes and are looking for something to feel fuller longer and keep your energy up, the protein in eggs can handle that, and ultimately help you maintain a healthy weight. Have a picky eater? 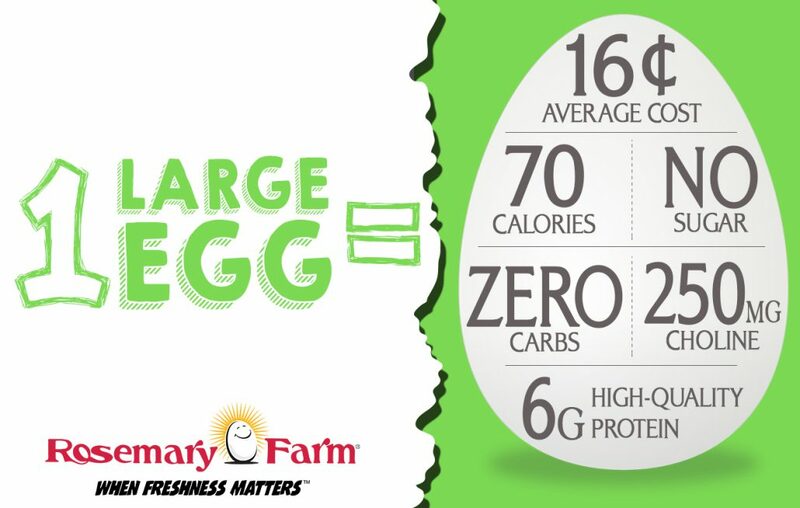 The flexibility eggs offers an easy way to get superior protein into their diet – a key to healthy growth – without an argument. You can keep it basic with scrambled, fried or hard-boiled eggs, or make them part of something amazing from pizza to dessert. Plus, if you serve eggs for breakfast, evidence has shown that the nutrient-packed favorite increases focus and performance for your kids at school. Are eggs safe for pregnant women? Yes! And there is HUGE benefit to women who consume eggs during pregnancy, and their babies. Naturally you have the protein needed for extra energy, but eggs are an excellent source of choline, a nutrient considered essential for normal fetal/infant brain development and for memory, even later in life. Pregnant women also must watch to make sure they do not become anemic, luckily eggs have the perfect mix of heme and non-heme iron which is well-absorbed – great during pregnancy and while breastfeeding. Eggs are great to have on hand all the time. They are quick, nutritious, and everyone loves them. But, you can keep an egg too long. Eggs are a perishable, and proper egg safety and handling is very important. Some frequently asked questions follow, but if you want more, visit www.eggsafety.org. Q: What is the best way to store eggs? A: Refrigerate eggs at 40°F or less. Store them in their original carton on an inside shelf. The carton keeps the eggs from picking up odors or flavors from other foods and helps prevent moisture loss. Q: What do dates on the egg carton mean? A: Dates on egg cartons and all other food packaging reflect food quality, not food safety. A “Sell By” or “Expiration Date” ensures eggs aren’t kept on shelves past a certain date. However, eggs can be safely eaten 2-3 weeks beyond the expiration date or sell by date. Q: Should I wash my eggs? A: No, even according to the USDA, it is not necessary to wash your eggs because of the increased risk of introducing microbes into the egg. The washing water/solution can be pulled into the egg through the shell’s pores. As the hen lays the eggs, they coat them in a protective coating called a bloom. This bloom essentially seals the egg helping to keep moisture in and germs out. All eggs that are processed in the store are mandated to be washed by the FDA but they have strict regulations and guidelines for washing. Q: Are darker yolks healthier? A: Yolk color is based off of the hen’s diet. It does not determine the nutritional value. A deeper yellow or orange yolk comes from eating feed high in marigold extract or outdoor plants.